Susan Cicirello joined the Holy Cross staff in January of 2018. She has a Bachelor of Music Education degree (piano/organ) from Wartburg College and a Master of Arts in Music Education with Orff-Schulwerk certification from the University of Denver. 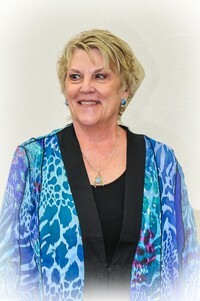 In 2014 Susan retired from a career of teaching music in Adams 12, Littleton and Denver Public Schools. Susan has been organist at First Presbyterian of Littleton, various Lutheran churches in the Denver area as well as organist for the Cherry Creek Chorale, accompanist for the Lutheran Chorale of Denver and accompanist for the choirs at Regis University. She and her husband Bernard reside in Centennial. They have two children, David and Nicholas and two grandchildren, Micah and Aliyah.